You deserve to breathe clean indoor air! Air Duct Cleaning Torrance offers exactly that via excellent air duct sanitizing, which will remove harmful particles and excessive dust from your office or home. Call us today and change your life! We are the best in air duct repair service in California and know how to clean ducts well. Don't hesitate to ask our staff questions! Email us what you have in mind as we provide full air duct cleaning services. We specialize in dryer vent cleaning, repair and replacement and, certainly, offer full services. Call us today and discover the chance to live in houses with pure indoor air! It is easy to get higher indoor air quality at home. You simply need to use our professional air duct cleaning services. All contaminants from dust and pollen to mold will be removed from the ductwork of the HVAC system effectively, safely and swiftly. 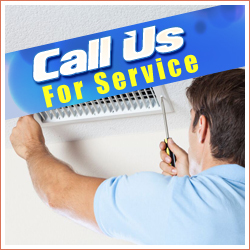 Air duct repair is an integral part of the solution provided by us, when required. The work is completed with the sanitizing of the surfaces to minimize the risk of future contamination. Count on us to replace air filters and to clean the HVAC unit to deliver the best possible end result. You will breathe cleaner air and keep energy costs down. You will receive the latter benefit from our dryer vent cleaning services as well. Let us do the work quickly and professionally.